"Today's fast Ethernet computer networks require Category 5e Enhanced 350 Mhz cables to distribute data, voice, and video. This blue cable comes in 25-foot length and works with 10BaseT and 100BaseT environments. Order today!" 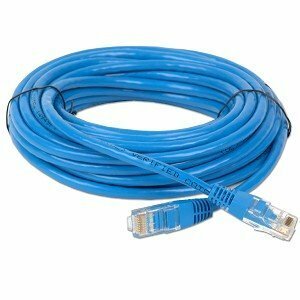 RiteAV - Cat6 Network Ethernet Cable - Blue - 7 ft.